Plummeting temperatures have prompted the Office of Emergency Management to open its overflow cold weather shelter in East Nashville at the Shelby Community Center. Other shelters are coordinated by the Nashville Rescue Mission and Room at the Inn. While the Community Oversight Board amendment passed overwhelmingly in last Tuesday’s elections, leaders in the state legislature are already looking into how they could preempt the city from enforcing its provisions. Such a move would follow similar actions by the state overturning relaxed marijuana enforcement policies, local hire laws and how the city regulates its short-term rentals. Hundreds gathered Friday in front of the federal courthouse in downtown Nashville, joining others across the country, to protest the President’s choice to replace Attorney General Jeff Sessions and to call on lawmakers to allow the ongoing investigations to continue. The group has been on standby for many months for such an event. A new development in West Nashville near the intersection of three council districts has two of the council members upset with it, and another whose district it would reside not talking to reporters. Neighbors are concerned about the height of the building relative to others nearby. One of those spaces would have likely been the 80-year-old Roxy Theater in East Nashville, which is getting a new lease on life under new ownership. The venue is expected to open in 2020 as a restaurant and live music venue. Bolton Matthews, the namesake owner of the East Nashville hot chicken restaurant, is being treated for cancer and has a GoFundMe set up for his expenses. Nashville’s skyline will pick up a new sign, this one for financial services company AllianceBernstein, when the Fifth+Broadway development opens in the spring of 2020. You might recall that skyscraper signage is serious business. 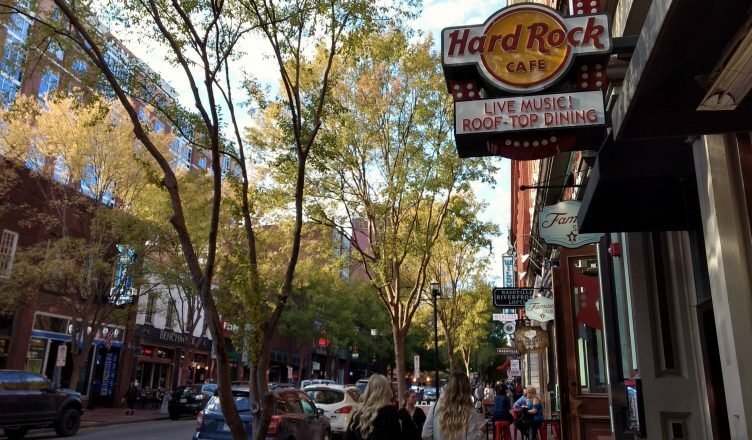 The Nashville Fire Marshall’s office is understaffed, which has lead to several downtown establishments missing safety inspections for more than a year and a half. This report follows an incident Acme Feed & Seed where a rooftop bar partially collapsed. A Metro Nashville Police Department detective has been decommissioned from the police force following her arrest for DUI after crashing her personal vehicle in Wilson County early Saturday morning. She was not harmed in the single-vehicle crash. One woman is in custody and a man is on the run following a weekend crime spree that involved multiple carjackings that started Saturday morning in South Nashville. The suspect later rammed a patrol car and left the woman at the scene. A new production by the Nashville Ballet titled “72 Steps” highlights the number of years leading up to the 1920 ratification of the 19th Amendment that gave women the right to vote. Nashville has a central role in the suffragette movement, as the final state to ratify the amendment (which involved a young man casting the vote because his mother told him to, and being chased into the cupola of the State Capitol for doing so). The Tennessee Titans (5-4) pulled off an upset victory over the visiting New England Patriots (7-3) Sunday 34-10 to keep pace with the Houston Texans (6-3) in the AFC South race. The team travels Next Sunday to Indianapolis to face the Colts (4-5). Police say a local man from Goodlettsville attending Sunday’s game sustained life-threatening injuries after falling off of the lower tier of seats to attempt to grab a t-shirt launched into the stands. He remains in critical but stable condition at Vanderbilt University Medical Center. The Nashville Predators (13-3-0) came from down two goals to the Dallas Stars (9-6-2) to win the game 5-4 in overtime Saturday night on the road, where a catfish hit the ice at the start of the third period, which lead to the two goals scored that tied the game at three. The Predators have back-to-back games against the Anaheim Ducks (7-8-3) tonight and the San Jose Sharks (8-6-3) tomorrow night, both games on the road. It’s a good thing they won the game, because the guy who threw the catfish can at least say it was worth it. Seriously, just eject the fan and move on, opposing teams. The Vanderbilt football team now must win its final remaining games against Mississippi and Tennessee in order to be bowl eligible following a 33-28 loss Saturday on the road to Missouri. Both games will be at home for the Commodores. WKRN reports that complaints about the dockless scooters parked (or dumped) on Nashville’s sidewalks continue to mount, but the prospect of enforcement seems unlikely. City officials say the police are not very likely to cite a rider for not following the rules. Photo by Elizabeth K. Joseph. Want to see your photo featured here?